Arrive by flight on own. Transfer on own (not included) from the airport to your hotel. 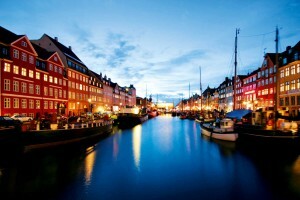 Copenhagen, the capital city of the kingdom of Denmark since 1417. Copenhagen is one of Europe’s oldest capitals with a royal touch – the monarchy in Denmark is the oldest in the world! Copenhagen is a place where old fairytales blend with flashy new architecture and world class design. Copenhagen is also considered one of the world’s most environmentally friendly cities and one of the world’s leading cycle cities. Most of the city’s attractions can be reached on foot or bike, offering the opportunity to experience a lot of things in a short time. Breakfast at the hotel. Day free for leisure in Copenhagen. Breakfast at the hotel. Flight on own (not included) from Copenhagen to Bergen). Bergen is called ‘the city between seven mountains’ because of the many mountains surrounding it. At 624 metres, Mount Ulriken is the tallest of them. Bergen was one of the major hanseatic cities in Europe and it has been a great centre of trade throughout the ages. Fish was exported from Bergen, while grain was the main import. The first German merchants came to the city already in 1270, and the powerful Hanseatic League existed until 1784, when it was disbanded. The Hanseatic merchants operated in the Bryggen area, which is now included on UNESCO’s World Heritage List. Breakfast at the hotel. Transfer from hotel to train station on own (not included). This morning you will depart for one of the most beautiful trips in Europe; the Norway in a Nutshell tour. This unique and popular day-excursion takes you through some of the most magnificent scenery to be found on the west coast of Norway. You leave Bergen by train in the morning, along the beautiful Sørfjorden to the town of Voss. From here you go by bus and descend the Nærøy Valley, passing the amazing Stalheim Canyon, to Gudvangen. From Gudvangen start your cruise along the narrow Aurlands and Nærøy Fjords, both branches of the Sogn Fjord – the longest and deepest fjord in the world. Enjoy the spectacular scenery of cascading waterfalls, sheer mountain cliffs, snow-clad peaks, and a variety of wildlife. Disembark in Flåm. Board the Flåm train for an exhilarating ride on the amazing Flåm Railway to Myrdal; a masterpiece of engineering ascending 2,838 feet in less than an hour. The ride offers opportunities for photo shoots of exciting waterfalls and mountain scenery. In Myrdal you change for train to Oslo. Arrival in Oslo in the evening and transfer to the hotel on your own. Breakfast at the hotel. Flight on own (not included) from Oslo to Reykjavik. Despite the relatively short history as a city, modern Reykjavík is home to an impressive collection of interesting attractions and places of historic significance with much to pique the curiosity of visitors to the city. From the impressive defining landmarks such as Hallgrímskirkja and the Pearl to places of great importance like Höfdi house, where international history was made, you’ll be surprised by the variety of attractions on offer. Breakfast at the hotel. Day free for leisure in Reykjavik. Breakfast at the hotel. Flight on own (not included) from Reykjavik to Stockholm. Stockholm, one of the most beautiful capitals in the world, is built on 14 islands, connected by 57 bridges. The beautiful buildings, the green parks, the fresh air and the proximity to the water are distinctive traits of this city. With 750 years of history and rich cultural life, Stockholm offers a wide selection of world class museums and attractions. Most of the attractions can be reached on foot, and the many bus or boat sightseeing offer an opportunity for a wide variety of experiences in a short time. Breakfast at the hotel. Day free for leisure in Stockholm. Breakfast at the hotel. Flight on own (not included) from Stockholm to Helsinki. Helsinki was founded in 1550 by the Swedish King Gustav Vasa, as a trading post to compete with Tallinn, to the south, in Estonia. 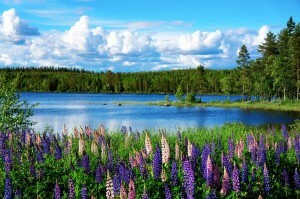 In the beginning of the 19th century Finland became part of Russia, and Tsar Alexander I made Helsinki capital in 1812. 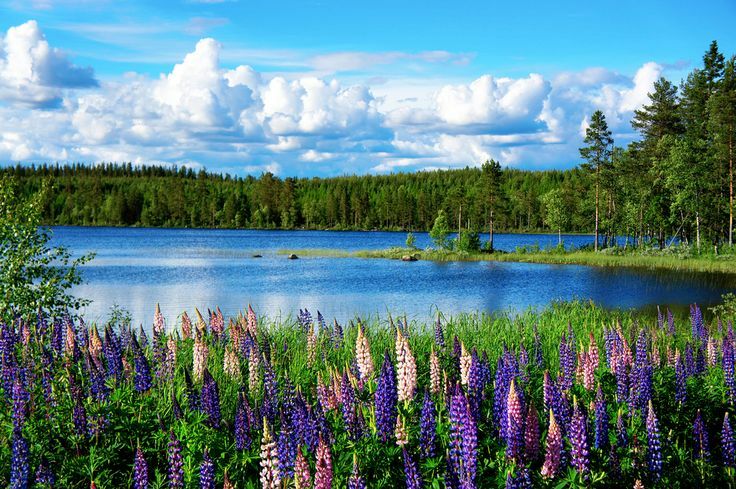 Since the beginning of the 20th century Finland has been independent, and today Helsinki pulls off the trick of being something of an international metropolis while still retaining a small-town feel. The many parks, museums and churches are well worth a visit. We also warmly recommend a visit to the charming Suomenlinna Fortress, since 1991 on the UNESCO’s World Heritage List, as a unique monument to European military architecture. Breakfast at the hotel. Day free for leisure in Helsinki. Breakfast at the hotel. Check out from the hotel. Transfer on own (not included) from your hotel to the airport. Flight out on own. Stockholm-Olso by train (8 hours) – or by plane? 3) Train tickets from Moscow to St.Petersburg – Prices vary from USD 70 – USD 85 per person, depending upon the time of issuance and the occupancy of the train on that particular date. Actual Prices will be advised in accordance to availability/date of ticket issuance/date of travel.